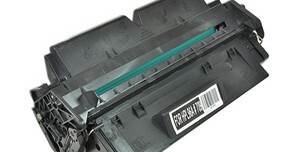 Our in-house remanufactured toner cartridges in our Southern California facility are made with new and recycled parts that comply with the requirement of the Trade Agreements Act stating that products accepted in the GSA schedule should be manufactured or substantially transformed in a designated country. This excludes most compatible toner cartridges imported from China. We carry a special line of remanufactured toner cartridges refilled with MICR toner that meet banking standards for check printing. All of our remanufactured MICR toner cartridges use new components to ensure maximum performance and optimal prints. As a wholesaler, we carry a variety of toner cartridges to choose from so you can maximize your business' potential. Our compatible toner cartridges are priced to match FOB cost. Order your compatible toner cartridges from Tonerfarm and see your profits grow without the hassle of direct importation.